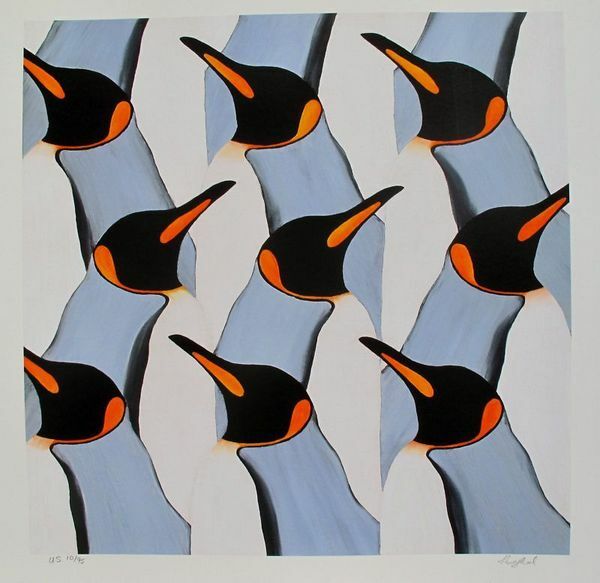 This is a limited edition hand signed giclee by Nicola Read titled BEAK TO BEAK. 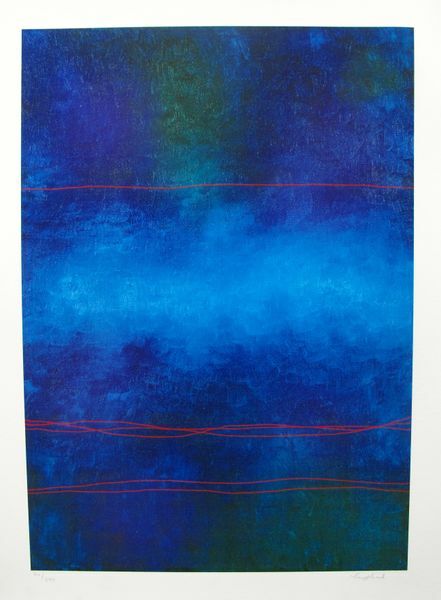 This is a limited edition hand signed giclee by Nicola Read titled INTERFERENCE I. 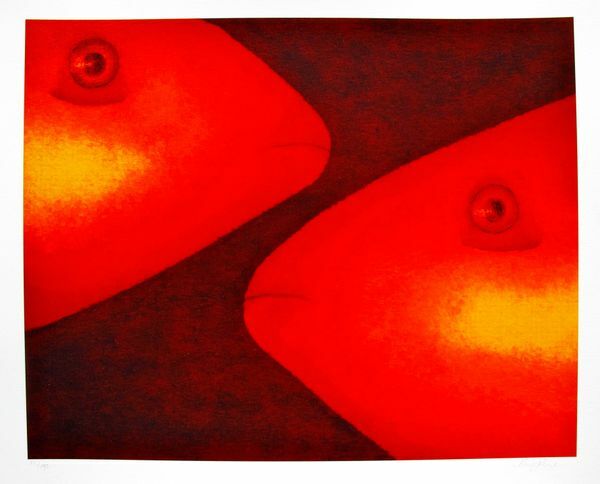 This is a limited edition hand signed giclee by Nicola Read titled LIKE FISH THAT PASS IN THE NIGHT. 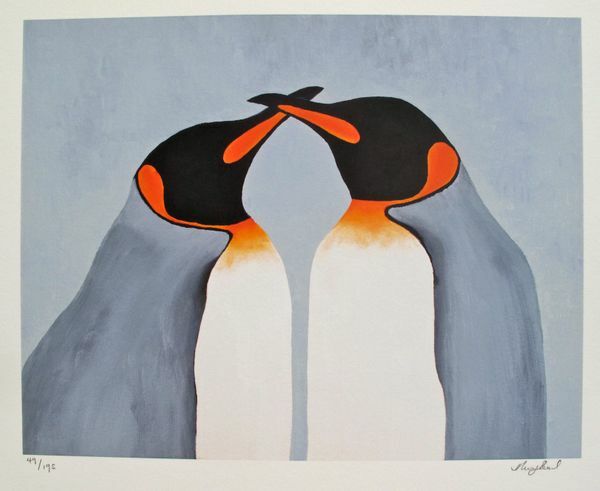 This is a limited edition hand signed giclee by Nicola Read titled ON THE MARCH.